The islands and shores of Lake Tana contain numerous centuries old monasteries reached by boat trips from Bahir Dar. The monasteries were used as a refuge for emperors and their riches at times of upheaval and according to legend the Ark of the Covenant was kept here when Axum was under threat. 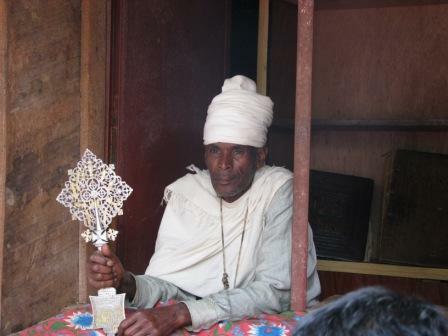 Today the monasteries contain numerous religious treasures including Axumite crosses and manuscripts. Organised group tours: Click here to see 10 tours to Ethiopia Historical Circuit which may include Lake Tana Monasteries.